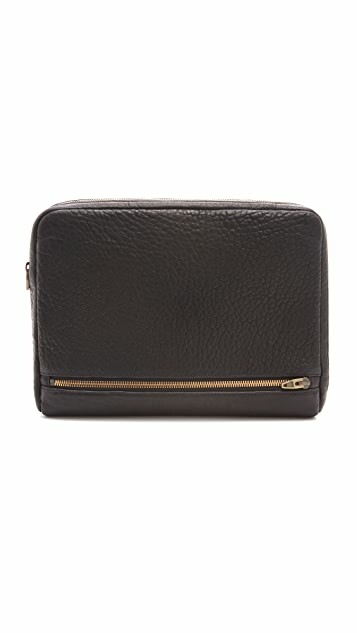 Subtly distressed, wrinkled leather lends a retro texture to this Alexander Wang clutch, designed to securely hold an iPad and other daily essentials. 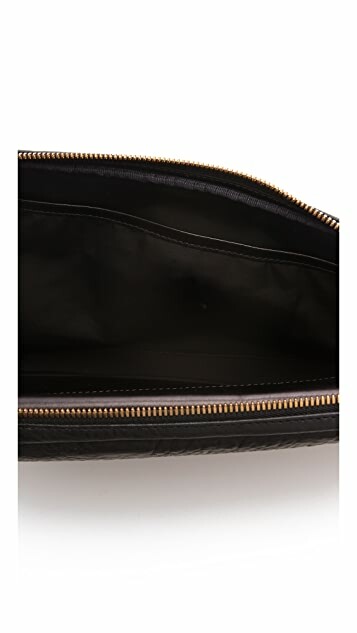 2 zip pockets detail the exterior, and the wraparound zip opens to a divided, lined interior with a flap iPad compartment and 2 patch pockets. 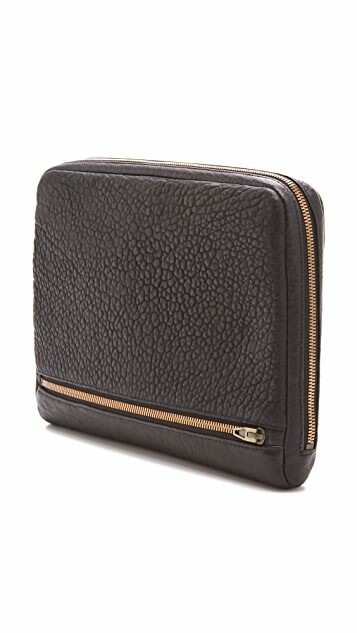 Fits iPad (original) and iPad 2. I love this iPad case. It is pretty roomy on the inside leaving space for papers and a small note pad if you like. I recently took it on a 3 week trip to Europe and it holds up amazing and I love how it matched the rockie and rocco bags!